Who doesn’t love cartoons and educational ones that aren’t boring are even better. 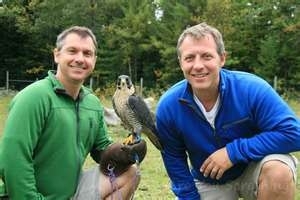 So imagine my joy when I happened upon the PBS Kids series Wild Kratts! This show not only teaches about ecology, it is a lot of fun! There are imaginative inventions, good story lines and so far, always happy endings! The show starts with a brief live action portion with the Kratt Brothers, Chris and Martin, and turns animated as they head out on various adventures. They can be rescuing Polar Bears or saving a shark from a dastardly chef villain who aims to make shark fin soup. It’s fast-paced enough to keep a smaller child’s attention, funny enough to make bigger kids laugh, and educational enough to teach even a Master Gardener a thing or two! So why am I talking about a cartoon this episode, I mean blog? And seemingly one that has more to do with animals? Well, let me tell you they have an awesome episode about Pollinators. One of the brothers gets miniaturized in order to get “up-close” film footage of bees at work and inadvertently ends up stuck to the bee and lost in the rainforest moving from plant to plant by different pollinators. I always thought a Pikachu was a type of Pokémon! Turns out they are cute little animals that live in the rainforest and they are also pollinators. I also had never heard of a Fig Bee (or Fig Wasp). Search Fig Wasp at the UCANR.org website. 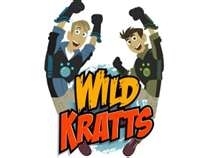 The Kratt Brothers can also put on creature suits that enable them with a type of creature power that mimics an attribute of the featured creature. There is danger and suspense in many of the episodes, often in the form of the brothers needing to find something that their new animal friend is needing. 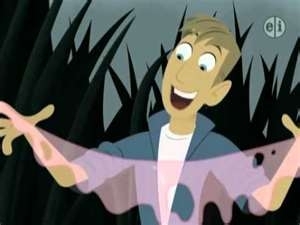 For instance, one of the full episodes that is available on the web at www.pbskids.org/wildkratts is the Mystery of the Squirmy Wormy. Why worms come to the surface when it rains. In it there is a short time where “Wormy” is in danger of drying out. It covers the answer to that question and some worm biology. Also, at the end in the live action sequence shows a quick description of worm composting. Can it get any better!? Yes, yes it can. If you follow the links on their site, which is also filled with games and other educational fun, you’ll find tools for educators and parents that almost make one wish you were back in a classroom. But I think I like watching cartoons too much!